You can turn back the hands of time and replace your tired-looking appearance with a younger looking, refreshed and more vibrant one. A Brow Lift, also known as a forehead lift, can erase years from your face, and make you appear more youthful and relaxed. The brow and forehead lift procedure at Barr Plastic Surgery reverses the effects of time, gravity, overactive muscle function, and genetics in the forehead region. Dr. Scott Barr’s two decades of experience in performing brow and forehead lifts have earned him a reputation as a highly sought after plastic surgeon in Northern Ontario. His experience with this particular procedure results in consistently satisfied patients, who appreciate his ability to make them look younger and more alert, while maintaining a natural and untouched appearance. Dr. Barr understands that each patient he sees is a unique individual with a distinct set of appearance-related concerns, and is devoted to providing his patients with the highest level of care while helping them achieve natural looking results. His skill at creating a beautiful aesthetic outcome has won him respect, gratitude and praise for over 20 years. As an active contributor in international seminars and conferences, Dr. Barr is continuously expanding and updating his surgical techniques and practices in order to ensure that his patients receive the most current, safe and beautiful aesthetic outcomes. Dr. Barr uses advanced techniques and methods for improved scar placement, accelerated healing time and an overall rapid recovery. If you are considering a brow lift procedure, please continue reading for further information on this procedure. If you have any questions about forehead and brow lifts, or any of our other procedures, please contact us. Schedule a Brow Lift Consultation with Dr. Barr. Like the thousands of patients who undergo this procedure every year, you too can erase the effects of time and gain the confidence you deserve. What is the first step in pursuing the brow lift procedure? The first step when considering brow lift surgery is to schedule your consultation with Dr. Barr. The consultation process provides an opportunity for you to obtain important information about the procedure and to have all of your questions answered prior to proceeding with surgery. It also enables Dr. Barr to properly assess you and determine whether you are a suitable candidate for brow lift surgery. During your consultation Dr. Barr will carefully examine your face, forehead and eyebrow area, and will assess your general health. Different surgical approaches and options will be discussed and he will explain which surgical approach would be best suited to you based on your individual characteristics and aesthetic goals. The benefits, risks and potential complications associated with brow lift surgery will be thoroughly explained during this consultation. The information provided at this initial consultation will be comprehensive and thorough, and should enable you to make an informed decision as to whether or not a brow lift procedure is the right choice for you. A comprehensive instruction package will be provided to you at the time of consultation, and includes instructions for before and after surgery as well. Am I a candidate for a brow lift procedure? Can I combine another surgery with my brow lift procedure? It may be possible to schedule another surgery at the same time as your brow lift procedure. You should be prepared to discuss all possibilities during your consultation with Dr. Barr. What will I need to do prior to my brow lift surgery? Prior to your forehead or brow lift you will be scheduled for a pre-op session with a Registered Nurse to review your medical history and your post-op instructions. She will review all of the information you will need to know in order to prepare yourself for surgery. Where will my brow lift procedure be performed? The Northern Ontario Surgical Centre has been awarded accreditation by the CAAASF (Canadian Association for Accreditation of Ambulatory Surgery Facilities) for meeting the standards of a hospital in regards to monitoring, emergency and resuscitation equipment. With two levels and entrances that conceal the actual size of the facility, the centre itself spans 8000 square feet and incorporates fully equipped major and minor operating rooms, a monitored multi-bed recovery area, 10 laser and treatment rooms, spacious consultation areas, private offices to discuss financing options, elegant waiting areas and a private waiting room and secure rear entrance/exit for additional privacy when desired. During the brow and forehead lift procedure, the muscles and skin that cause drooping and sagging are removed or altered to smooth your forehead, raise your upper eyelids and minimize your frown lines. The placement of the incisions depends on each patient’s particular surgical needs; 2 small incisions, 1 longer incision across the top of the head, or endoscopically. These alternatives, and the implications each presents, are discussed in detail during your consultation process. It is Dr. Barr’s primary concern to ensure you receive the optimal surgical changes desired to best suit your individual needs and aesthetic goals. Dr. Barr performs two different surgical techniques to lift the brow: the Classic Hairline Brow Lift or Classic Bicoronal Brow Lift. This technique involves an incision that is hidden, as it follows your hairline in a staggered step pattern. This technique is used for those who have excess brow skin and significant forehead lines, in addition to midline creases and brow drooping. This technique also allows shortening of a forehead that a patient feels is too high. This technique involves an incision that is completely hidden within the hair. The incision is behind your hairline and is unnoticeable when healed. The best candidates for this technique are patients who have significant forehead lines and brow drooping, along with multiple midline creases and a relatively short forehead. By using this technique, Dr. Barr is able to provide a more attractive forehead height while completely hiding the surgical scar. How much does a brow lift procedure cost? Pricing for your brow or forehead lift procedure will depend on whether you have concurrent procedures along with your brow lift and will be provided to you during your consultation. Is my procedure tax deductible or covered by insurance? Forehead and brow lifts are considered cosmetic surgery and therefore not usually covered by private or provincial insurance such as OHIP. You will also be provided with prescriptions for medications to be taken after surgery. These prescriptions are subject to the same coverage you would receive from your medical insurance. If you do not have personal insurance,then these medications will be at an additional cost to you. There is a $500 deposit for any surgery under $5,000, a $1000 deposit for any surgery over $5000 and a $2500 deposit for any surgery over $10,000. Will I need to stay overnight following my brow lift surgery? 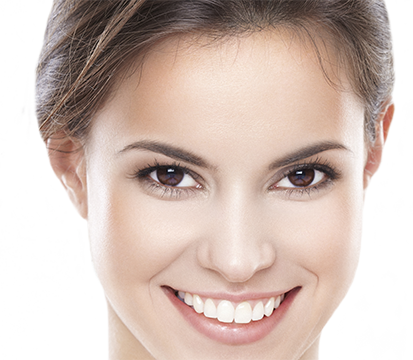 Brow lift surgery is an outpatient procedure and does not require an overnight stay at Barr Plastic Surgery. Following your surgery you will need a friend or family member to pick you up and care for you for the next 24-48 hours. This person should be familiar with your prescriptions and post-surgery instructions. How long will it take me to recover from my brow lift procedure? Dr. Barr’s extensive experience in performing forehead and brow lifts will help to ensure that your post-operative recovery is minimized. You will be discharged with a dressing in place, which is left intact for approximately 24 hours after surgery. You will be instructed to keep your head elevated for 2 to 3 days. Generally, post-surgical bruising and swelling will begin to disappear after about 1 week. You will be up and around in a day, but should limit activity for 1 full week. Most patients return to work within 7 to 10 days. You will be scheduled for a follow-up visit 2 days after your surgery for a dressing change and wound assessment. Sutures are removed at 7 to 10 days, depending on the surgical technique used. Full activity, including sports, can be enjoyed after 3 weeks have passed. Dr. Barr takes every precaution to ensure your scarring is as minimal as possible. However, as with any surgery, there is a risk of scarring from the incisions. Once your incisions have healed there are products that can be used to minimize the redness in scars as well as improve the texture. Medical grade topical scar creams are available for purchase that will help to reduce the discolouration found in new scars. Precautions that should be taken to minimize scarring will be discussed during consultation.